These stylish slate cheese boards engrave beautifully with your Epilog Laser system! 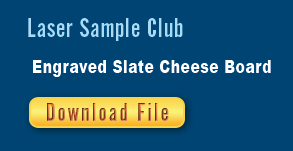 Check out this month's sample club for three downloadable design files and instructions on how to complete this project. 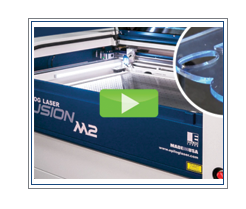 With its generous engraving table, dual-source capabilities, and optional eView Camera Module, Epilog's new Fusion M2 40 can tackle all kinds of laser applications. Check out the video below to learn more about the Fusion M2 40 and see this exciting system in action! Epilog Heads to NBM Arlington, March 10-12! 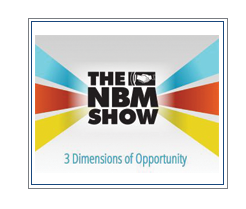 Epilog will be headed to Arlington, TX March 10 - 12 for the NBM show! Make sure to stop by the Epilog Laser booth for a hands-on demonstrations, samples and much more! We'll also be hosting an educational session, Getting the Most from Your Investment: Laser Tips, Tricks & Techniques from 8:30 - 10 a.m. on Thursday, March 10! DIY Robotic Fish Instructable Wins Epilog Challenge VII! The seventh installment of the Epilog Challenge, hosted on Instructables, brought in over 800 creative entries. While we saw some amazing creations, there can be only one grand prize. 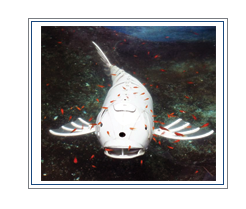 Congratulations to Eric Dirgahayu for his winning entry, PVC Water Pipe RoboFish! Eric was the lucky winner of a Zing 16 Laser system from Epilog! Join Mike Dean, a.k.a. “Mr. Epilog”, as he covers photo-engraving techniques that use PhotoLaser Plus, CorelDRAW®, and Corel PHOTOPAINT™. This seminar will cover cropping photos, creating vignettes, removing backgrounds, transforming photos, and engraving large murals. Additional CorelDRAW tips and tricks will also be shared! If you're in the market for a laser this is just the opportunity you've been looking for! 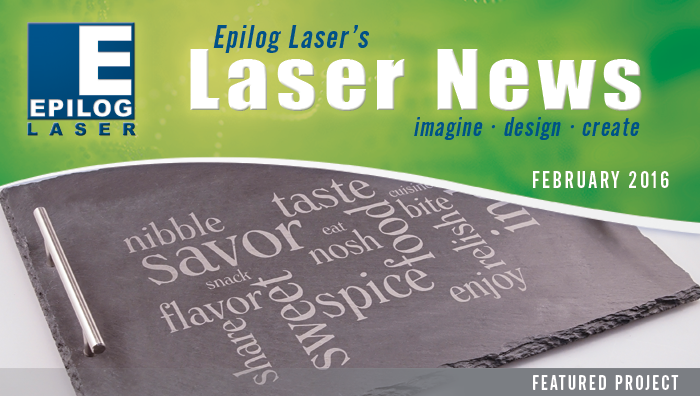 Join Epilog Laser representatives from Class Act Engraving for hands-on demonstrating of this exciting equipment! Demos and seminars begin with a brief discussion about Epilog and the types of lasers we manufacture. You'll also learn about software options, laser applications, industry vendors and much more! Cost: Free, but advanced registration is required. To register for for a demo or group seminar, please fill out the registration form. Engraving Concepts is hitting the road and heading to Oklahoma on February 16. If you're in the market for a laser system or UV printer, this is an excellent opportunity to see both systems in person and ask all the questions you'd like! Please fill out the registration form and pick a time-slot for your one-on-one session. You may also call Engraving Concepts at (817) 460-8122 to reserve a spot.